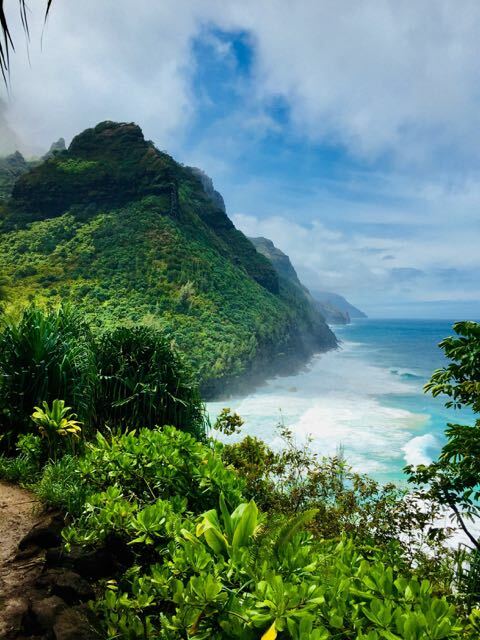 A hike on the Kalalau Trail lifts my spirit for discovery to new heights. It helps understand how to build better creative frameworks for my services. It lifts my creativity. Torrential March rain closes the Kalalau Trail along the North Shore of the Hawaiian island of Kauai. I’m a week into my visit to the garden island; staying at a secluded, North Shore house at the end of the road. Steady, overnight downpour makes my newfound friends, all experienced hikers, pessimistic about our chances for experiencing the Kalalau Trail before departing Kauai the following day. Ready for muddy conditions; each of us armed with two hiking poles; our early morning arrival at the Ha’ena State Park trailhead near Ke’e Beach pays off with an open trail; a break from rain and a sudden, unexpected burst of sun. 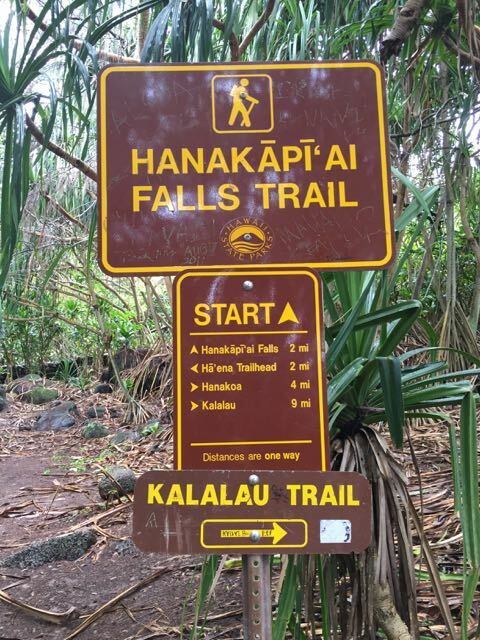 Understanding that the trail’s slick conditions will require extra caution and a slower pace, our group of four sets out to experience the beautiful coastline and the Napali Coast State Wilderness Park. For the veteran hikers in my group, completing the Kalalau Trail checks off a very significant box on their list of must-do trails. For me, the experience delivers additional values beyond seeing Hanakapi’ai Beach. Hiking the Kalalau Trail is about experiencing something that feels out of reach. Hiking Kalalau is about igniting my spirit for storytelling. As the founder of the content marketing studio SR Media, I believe that the best storytelling services claim a spirit of discovery. It’s this spirit that delivers innovation and inspires my customers to take their storytelling to new places and spaces. Granted, some moments of discovery occur in mainstream, business environments like conferences and tradeshows. Others take place in educational settings like the recent Social Innovation, Social Justice: Rethinking Design Anthropology symposium at the University of Cincinnati. Impromptu conversations at the Union Hall coworking space in Cincinnati; home to Cintrifuse, one of America’s top startup support networks, provide additional inspiration. However, there’s a next, creative step that leads innovators and technologists beyond a spirit of discovery. I also believe that the most impactful content strategy and storytelling claim a spirit of the fringe; an embrace of frontier tech from crowd-sourced artificial intelligence and social VR to haptics and interactive audio; a commitment to finding the next disruption to ignite your products and services. 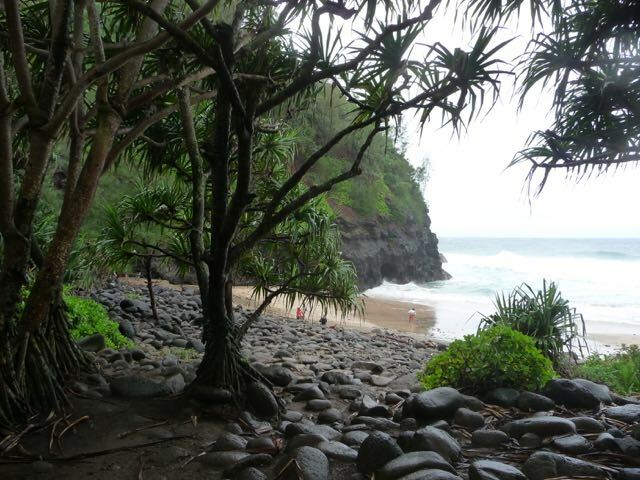 Seeing Hanakapi’ai Beach and hiking the Kalalau Trail is about experiencing something that feels out of reach. Hiking Kalalau is about igniting my spirit for storytelling. This spirit of the fringe leads me to the end of the road on the garden island of Kauai. A spirit of the fringe inspires me to grasp two hiking poles; wade through the waist-deep river adjacent to Hanakapi’ai Beach and spend extra hours walking the muddiest, rain forest trail imaginable. Yes; creative igniting and inspiration can occur anywhere. It can happen over coffee and a piece of chocolate at a neighborhood café. It can happen while sitting in a neighborhood park. It’s not specific to island travel, per se. 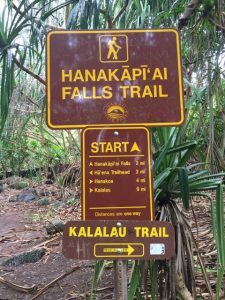 A spirit of the fringe inspires me to grasp two hiking poles; wade through the waist-deep river adjacent to Hanakapi’ai Beach and spend extra hours walking the muddiest, rain forest trail imaginable. However, if you go to Kauai’s North Shore; if you swim and walk on Keé Beach; and, most of all; if you hike the Kalalau Trail no matter the muddy conditions, you have the opportunity to experience blue sky discovery that can change how you and your customers live, work and create. Nature is an igniter and breathtaking nature like few places on Earth acts like rocket fuel. Kauai provides a perfect backdrop. The NaPali Coast provides additional inspiration. This discovery can lead down many different paths from personal goals to business benchmarks. For me, one thing is clear. My Hike on the Kalalau Trail continues to ignite my Spirit for Storytelling. Steve Ramos Media is a provider of content strategy and chief storytelling services that help businesses grow. Founder Steve Ramos is a content strategist experienced in the areas of business, culture, science and technology. He has also been published in Fast Company, NY Mag and QZ/Atlantic Media.